We believe strongly in the power of camp to impact lives. For nearly 80 years, we've provided summer camp experiences for children and youth of all ages. 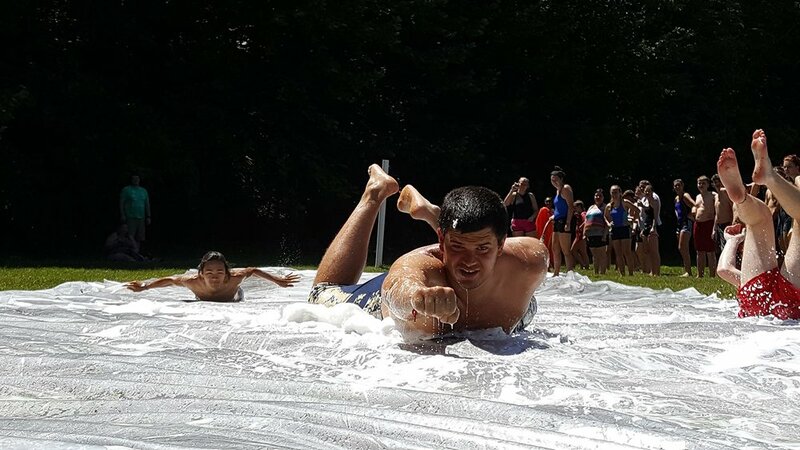 Using a small-group model and week-long sessions, NaCoMe has built a program that campers consistently call the best week of their summer. Watch the video below to see what a week of camp looks like, read on to learn about the goals for our camp program as well as how we accomplish those goals, or click here and get registered! There's a whole world out there, and we're all about exploration. One of the hallmarks of a camp experience is trying new things and learning new skills. Spend a night sleeping outside, learn how to paddle a canoe, shoot a bow and arrow, cook over a fire, or search for where the creek begins and ends. Our camp program excels at offering new experiences and teaching new skills to every camper. Last year, 100% of our campers said they made new friends at camp! That’s because we believe in the power of an authentic community approach to camp, and we make it a priority. We're experts at creating group dynamics that foster strong communication skills and develop deep friendships. Campers leave NaCoMe with better social skills, more confidence, and greater independence. NaCoMe isn’t a regular old summer camp. There's something special about this creek and these woods, and we aren't the only ones who think so: 99% of campers felt closer to God at camp. And, as proof of the power of camp, 96% of campers say that they want to grow closer to God at home because of their camp experience. Connecting campers to something deeper is the ultimate goal of our ministry. Campers at NaCoMe are placed into small groups of up to 7 campers of their same age. Each small group is paired with another group, usually of the opposite gender to form a family group (up to 14 campers, with 2 counselors) that they do most activities with. Small groups foster better communication, deeper relationships, and allow for more honest and open reflection during devotions. There are so many distractions in our daily lives, and NaCoMe provides a place away from those distractions. With no cell phone service and no internet, our programs allow campers to unplug from the constant noise of everyday life. In this environment, away from a culture of chasing likes and follows, campers learn how to communicate away from screens, and how to truly engage in a community. We take pride in the quality of our staff. In addition to our creative and engaging programming, our summer camp programs are so popular because of the work we put into selecting and training the right staff members to work with our campers. We seek out the most qualified applicants, and then we spend more than 2 weeks in an intensive staff training program that covers everything from basic safety to how to create the magic of camp.